In this post, Roof Masters delves into the importance of your roof pitch. Roof pitch is important in measuring your roof’s angle and determining what materials will be effective for your home. It also plays a part in how long your roof can last. When conducting roof maintenance, if you don’t know your roof pitch, you might make some serious mistakes. The consequences may include system incompatibility, which can void the warranty and result in water damage. Roof pitch is also important when it comes to weather as, during the rainy months, it determines how quickly your roof drains water. Pitch is also a major factor in how your roof gets rid of snow and prevents damage to your home. It plays a role in protecting your home from mold, leaks, cracks and even collapse. Some states have a minimum requirement when it comes to roof pitch so it’s best to get someone who knows what they’re doing and what these requirements are. Going the DIY route is often a bad idea when it comes to installing a new roof. You might wonder why buildings have such a low-roof slope that it’s barely noticeable. Buildings, unlike most houses, are often several floors tall. It’s impractical to install a roof with a slope that’s comparable to a home’s roof. A building’s roof is so large it would take a lot more material to give it a high slope. Installation would be more difficult and dangerous. The high slope would make the building even taller and more prone to wind problems as well as maintenance difficulties. A house is a lot smaller than a building so a steeper roof pitch is practical. Buildings often have a more complex system for draining water and snow. Turn to Roof Masters for your roofing needs. 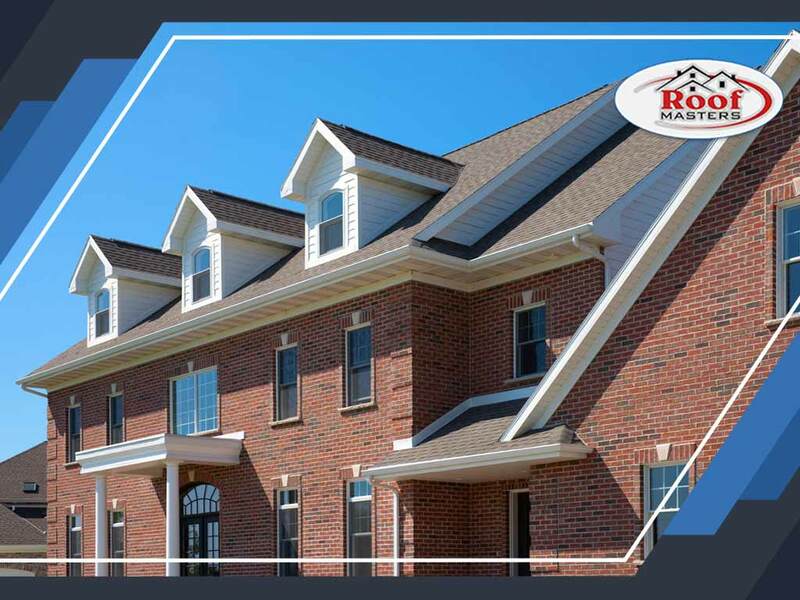 We are your number one provider of roofing, siding and emergency repair services. Give us a call at (888) 889-7551, or fill out our contact form if you want to learn more about our services or request an estimate. We serve clients in Montgomery County, MD, and other nearby areas.